Description: Location, location. Walking distance to downtown middleton, couple of blocks to several schools, close to restaurants & shopping! 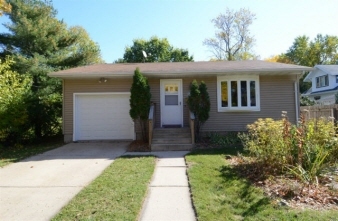 Adorable ranch home w/ all hdwd floors, large kitchen w/ lots of cabinetry, newer appliances, new windows, siding and roof. Features 2 large bedrooms and a spacious finished family room in lower level. The yard is private with fully fenced in yard & includes storage shed with electricity. Come & see why middleton is voted as one of the best places to live! Rp $199,900-$209,900.